For a Macmillan Cancer Research coffee morning, I ran a charity art auction, the prize of which was one of my Victorian, Vanity Fair ‘Spy Cartoon’ style illustrations. 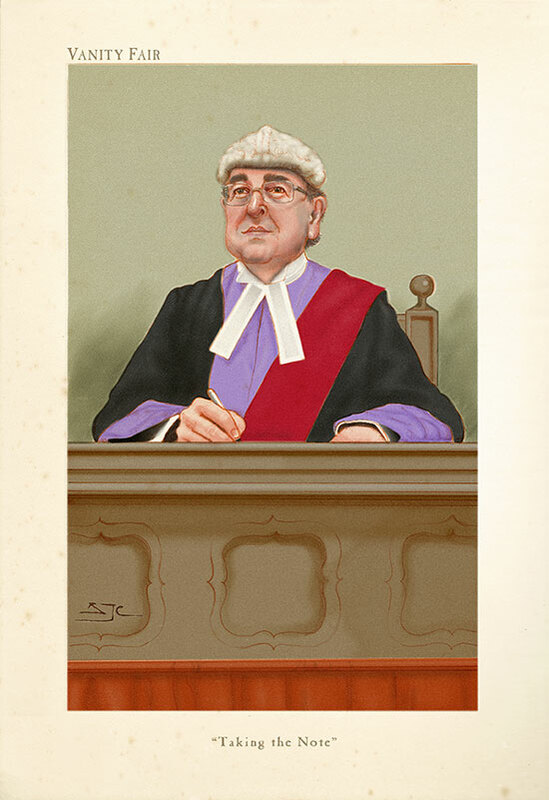 The winning bidder who was a judge, actually requested the illustration of another judge who had been disappointed at not winning the auction. So pleased was the second judge, that he matched the winning bid, thus earning Macmillan double the money! These are gentle caricatures, nothing too extreme. As Leslie Ward (Spy) said: ‘If I could sum up the art in a sentence, it would be that caricature should be a comic impression with a kindly touch, and always devoid of vulgarity’.